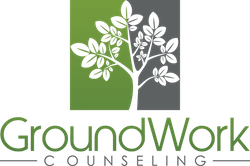 At GroundWork Counseling in Orlando, family therapists work to guide and support families through many life changes and transitions. At Groundwork, our Orlando family therapists encourage us to pay special attentions to big events in the life of a family. A graduation from high school is an excellent example of an important milestone. It marks an achievement that signals change– the graduating senior has transitioned into adulthood, and is looking at a new chapter in their life. This might mean continuing their education (college/trade school) or seeking full-time employment. Often, this is also the time when the graduate is looking at moving out of the family home. While this is a normal and anticipated life-stage, family therapists at GroundWork Counseling in Orlando find that it can create a time of uncertainty and anxiety. Family therapists point out how this event has a ripple effect throughout the family. As parents, we are happy see our child grow up, but are worried about how they will handle their new independence. Can they handle the new demands of adulthood? What is my role as parent in this transition? Do I micromanage, hover, let them sink or swim, or some combination of all three? What are the new rules for curfew and money management? And if this is the last child in the family, how do I deal with the empty nest? After a lifetime of child-rearing, who am I now that this child has “grown up”? How will I adjust to this new chapter of my life? Yes I am looking forward to being more independent, but I am not ready to fly completely on my own all the time yet. How will this change my relationship with my family? What are the new rules of engagement? Is it OK for me to tell my family that I am excited yet anxious? Orlando family therapists state that it is worth noting that graduation also affects siblings in the family. If the graduate is anticipating moving out, siblings will have concerns about the hole created in the family and the shifting roles. They are also watching closely to see how your family handles change. In the next few months, everyone in the family has to adjust to a “new normal” as a result of this graduation. If your family is currently facing these issues, summer is an ideal time to seek family therapy. The busy days of exams and graduation celebrations are behind you. As you prepare for big changes this fall, a family therapist can be a very helpful guide. In a supportive environment, your family therapist will help your family address these questions so that you can find solutions that work for you. A family therapist will encourage you to voice the excitement AND the worries, and help your family navigate through this transition successfully. At GroundWork Counseling in Orlando, our family therapists and counselors are available this summer to meet with your family and get you ready for this next chapter in your life.